Our namesake envisioned a brighter future and made it a reality. We'll give you the tools to do the same. At the George Washington University (GW), #OnlyatGW is not just a hashtag—it is our way of life. Living and learning in the heart of D.C. provides our students opportunities and experiences unlike anywhere else. Inside the classroom, you’ll sit next to peers from all over the world and learn from faculty who are not only experts in their fields, but who also might be world-famous artists, policy-makers or dignitaries. At GW, learning doesn’t stop when class is over. It's the reason you’re here and will be a part of everything you’ll do. You can use our resources to forge your own path forward. 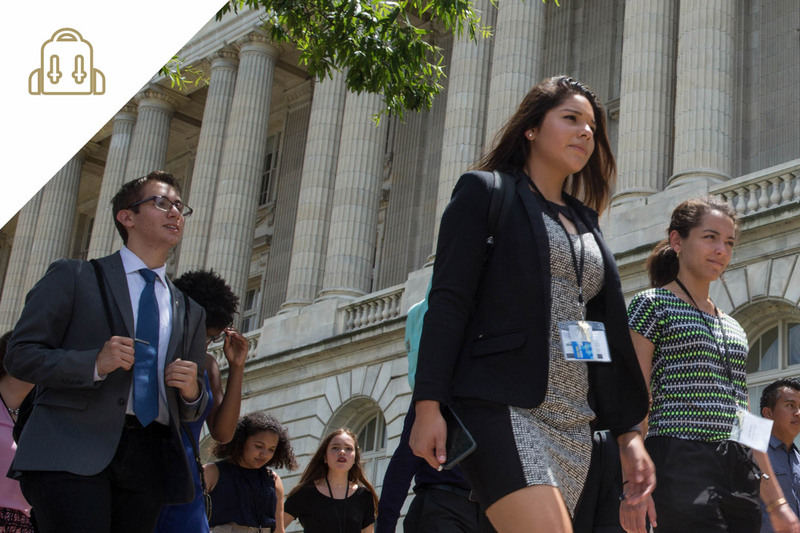 You might find a dream internship at a non-profit or the White House, volunteer to better our city, run into government leaders on campus, or even study on the steps of monuments that tourists flock to. You’ll not only live and learn at the center of our nation’s capital, but you’ll be a central part of it no matter your path. 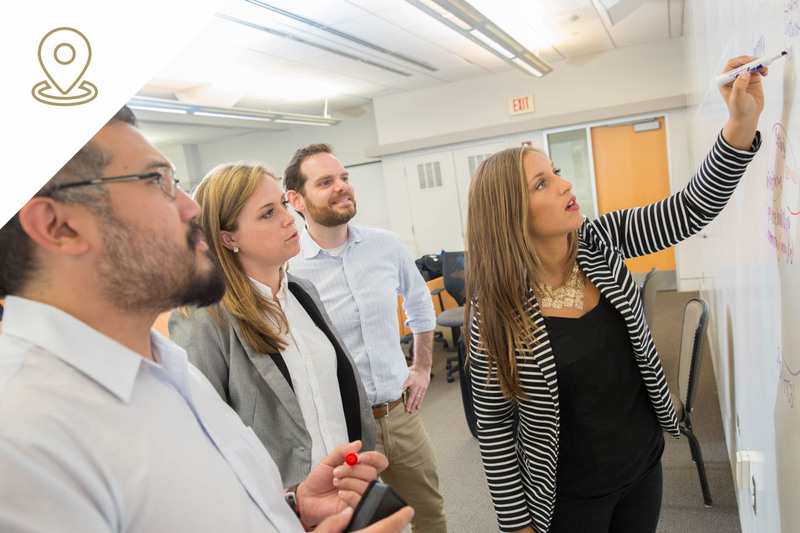 Whether you want to build robots, study sea lions at the National Zoo, work with world-renowned artists, develop a digital strategy for a political campaign or study Shakespeare, you’ll be right at home in a GW classroom. Our programs of study are as diverse as our Colonial community—from biomedical engineering to dance, political science to archaeology, you can find the program you’ve been searching for and use it to start doing what you always wanted to. 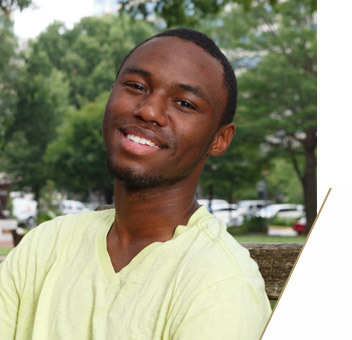 No matter your interest or situation in life, GW has a program for you. In our 10 schools and colleges you can find more than 100 undergraduate programs and more than 230 graduate programs at the certificate, master’s and doctoral levels. You could study in the center of D.C., in Virginia at our Virginia Science and Technology campus or at one of our graduate education centers in Arlington or Alexandria. If these options don’t work for you, you can study from home through one of our more than 100 online programs. With more than 3,700 international students hailing from more than 130 countries, GW's community thrives off of varied perspectives and experiences. In the classroom, students and faculty encourage each other to grow and expand their thinking beyond textbooks. Here you won't just read about current events and history—you'll enter discussions with classmates who have experienced them in their home country. We welcome you to share your culture and contribute new ideas about your passions, both the ones you know and those you can't wait to be exposed to at GW. Our campus community expands beyond Washington, D.C. 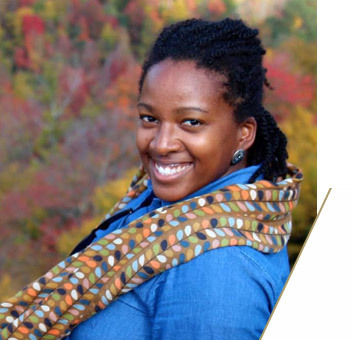 While you can find programs at one of our graduate education centers in Arlington or Alexandria, VA, you can also study from anywhere, at any time, by enrolling in one of our online programs. 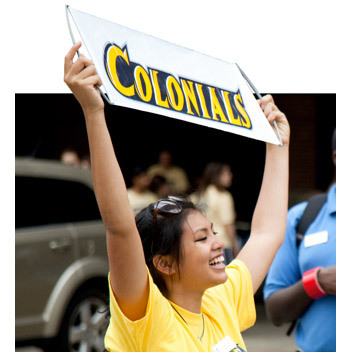 Regardless of where you study, you're a Colonial and an important member of our community. You’ll benefit from access to our campus, the city and our vast alumni network. As a high school student, our pre-college programs allow you to experience academic life in college before you get here, learn more about your area of interest and meet other students from all over the world. If you’re still deciding on college and interested in learning in Washington, D.C., we have programs for you from the arts and business to history, STEM and more. You’ll have all the advantages that GW students do during the summer through our on-campus or online pre-college courses. 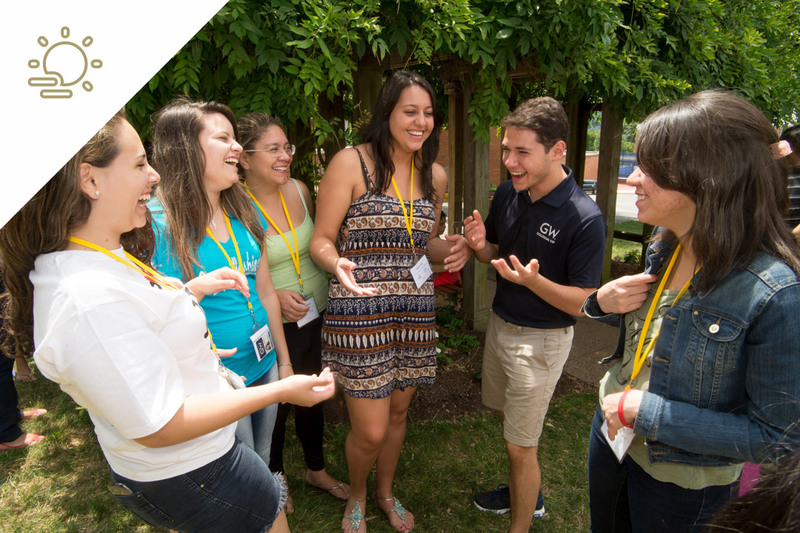 Spend your summer at GW to earn credit and take advantage of new cultures, either in D.C. or around the globe. You can find specific summer programs to enroll in or institutes to attend during the summer months on our campus. Our institutes, ranging from Health Promotion & Disease Prevention in Minority Communities to Japanese Language & Culture, are available to current GW and visiting students. We also offer short-term study abroad opportunities through our schools and colleges that will take you across the world to immerse yourself in academics and culture.